Radon is a colourless, odourless gas that can be dangerous to your health if long-term exposure is experienced. In fact, it’s one of the leading causes of lung cancer in non-smokers, making it important to reduce your risk of radon exposure. The gas can unknowingly build up to dangerous levels in your home, so put this gas on your radar! Radon is caused by the natural breakdown of uranium in rocks, soil and water. The gas can then make its way into any environment, leading to dangerous exposure. The risk of exposure might be higher than what you would expect; experts estimate that about 1 in 15 homes have dangerous radon levels. To reduce your risk it is suggested that all residential spaces that are three stories above ground level be tested regularly. Short-term tests stay in your home for two to 90 days, depending on the model. These testing kits are a good way to get a quick idea of your home’s radon level. However, since radon levels can vary throughout the year, a short-term test may not give you a full picture of your home’s radon level. Long-term tests stay in your home for longer than 90 days and give you a more accurate idea of your average annual radon level. Radon levels are measured in becquerels per cubic metre of air (Bq/m3), and Health Canada recommends that homes should have no more than 200 Bq/m3 of the gas present at any time. 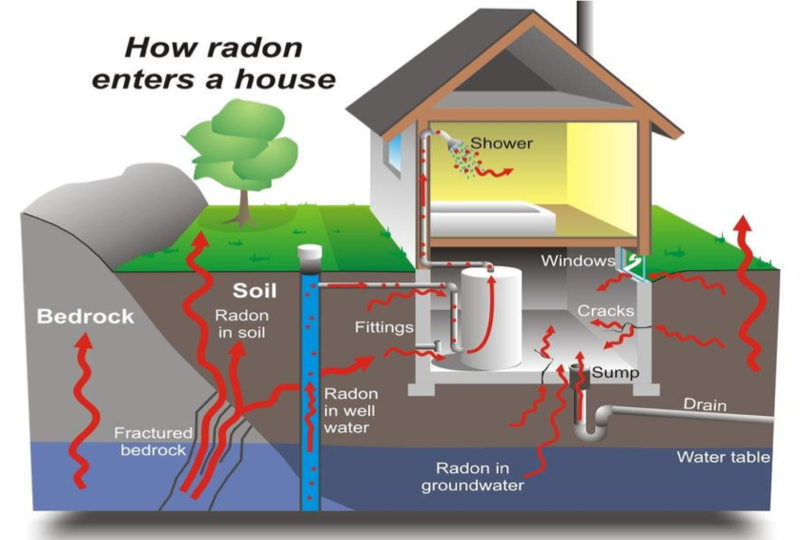 If you believe that your home has dangerous amounts of radon, you may need to install a removal system that can regularly ventilate the gas outside of your home. Make sure that your property, automobiles and RVs are insured properly. Review the coverages with a specialist at Access Insurance Group. Get advice, a quote or make a change anywhere in Alberta or in person at one of our locations in Edmonton, Stony Plain, Red Deer, Lacombe and Lloydminster.